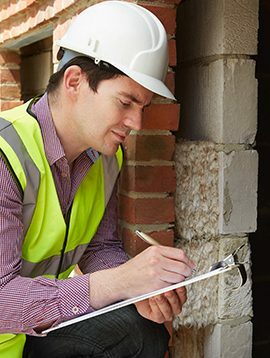 Home Inspection Training and License | Chicagoland Home Inspectors Inc.
Make an appointment with Charlie to do a private session for obtaining your 5 field inspections. All five inspections will be done one-on-one and in one day. Together we will inspect these houses on the outside and the inside. These will be condensed versions of actual home inspections. I will quiz you during the process to build your knowledge. This process is intense but you will build confidence in your knowledge of all aspects of the home inspection process. We do not write reports or communicate with any clients. This process counts as all five of your field experiences required by the State of Illinois. Our senior inspectors are trainers for Bellman Group, Inc. The state of Illinois requires individuals to complete a minimum of 60 hours of approved training before taking the licensing examination. Bellman Group, Inc. provides an 80 hour online home inspection training program, and a Hybrid program, that includes the online portion plus 56 hours of live training. Ask other home inspectors in the area where they got their home inspection training. They will tell you about Bellman Group, Inc.’s home inspection training courses. They will explain the open methods of training and sincere help to not only enter the profession but to succeed as a home inspector. Individuals come to this licensed home inspector school for their top home inspector-instructors and training methods. So find a Bellman Group home inspection school near you and ask to attend one of their free seminars “So You Want to Be a Home Inspector”. You can find out more about their home inspector classes and the instructors by going to Bellman Group, Inc. directly. Or, take a peek at their free entering the home inspection business course. Just follow the instructions on How to Register for a home inspector class. We will meet with you for one three-hour, one on one, on an inspection site training session. We will use either your home or find a vacant home. There is no limit to how many inspections we do, but we will find a new home for each inspection. Together we will inspect this home following my normal routine for performing a home inspection. I will quiz you during the process to build your knowledge. We will work on communication and properly explaining issues found in the home. This process is intense but you will build confidence in your knowledge of all aspects about the home inspection process. After the inspection, you will be required to write a report for this inspection and submit it to me for review. After review; we will have a video conference to discuss the report. The goal is to provide you with a confidence in your inspection ability and report writing. This process counts as one of your field experiences required by the State of Illinois. This session is OBSERVATION ONLY. You will be attending my inspection and watching how I communicate with my clients, owners, and real estate agents. You will see how I educate my clients about the defects in the home so that I can empower them to make good home buying decisions. After the inspection, we will meet to discuss the home, the issues, and write the report together. This process usually takes about three to four hours from start to finish. This process counts as one of your field experiences required by the State of Illinois.